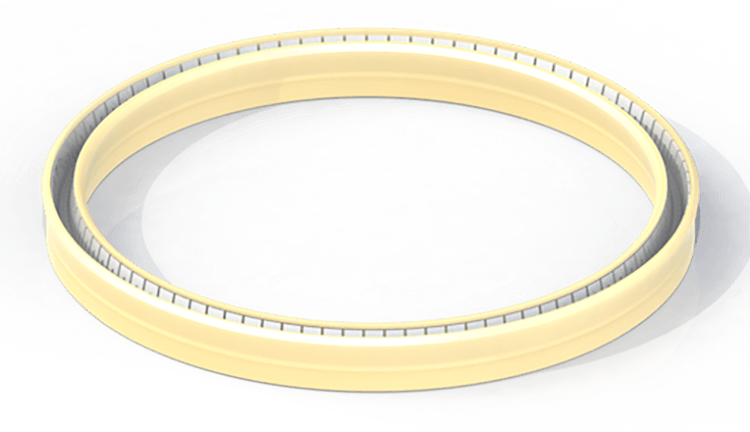 Extended Heel Cantilever Spring Seal - Eclipse Engineering, Inc. In some applications, a combination of pressure, temperature and hardware gap will give rise to a situation where the jacket degrades due to extrusion. A simple upgrade for Cantilever Spring Seals is to increase the length of the seal in order to isolate the spring side of the seal from distortion. By specifying and extended heel version, pressure ratings can be doubled over non-extended designs. This can be useful in cases where rebuilds yield larger than normal extrusion gaps or when legacy designs are pushed to higher operating pressures and temperatures to achieve greater performance. Accumulators and pressure intensifiers are common applications for extended heel Cantilever Spring Seals.